Vintage round frame with hand drawn herbs and wild flowers on background. Natural plants. Botanical theme. Monochrome design for promo poster or banner. 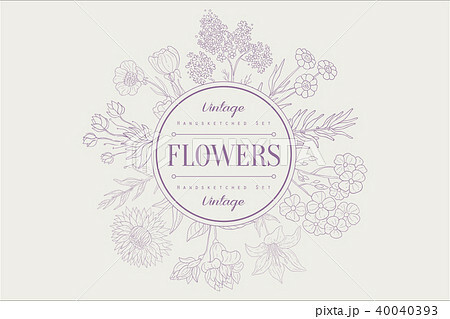 Vector sketch in gentle purple color.